Neighborhood Plumbing, Heating & Cooling, Inc. Comment: 1132sf. mobile home. Already ducted for AC and has thermostats. Looking to get prices on installing unit and hooking up. Comment: Replace a central air unit, which is from 2006. Comment: Central air is not working. Comment: My Central Air is not working. The condenser is may need to be replaced. The insurance company evaluated the system and determined it is not covered by insurance. It may need Freon, had Freon replaced 4 years ago. Comment: Need to move compressed to another entry in house. 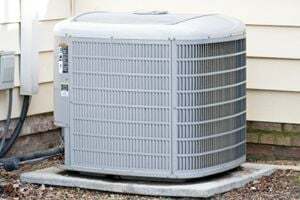 Comment: I need a price to install a New Goodman 3.5 Ton 14 Seer Condenser and Air Handler in a Rental Property. I would prefer to buy the equipment myself, but would consider you buying it. I am willing to pay a fair rate of $1000 for the labor. New Windsor HVAC & Air Conditioning Contractors are rated 4.63 out of 5 based on 628 reviews of 19 pros. Not Looking for Air Conditioning Contractors in New Windsor, NY?